ℹ️ Coupon Block is only available on the Email Flows feature. 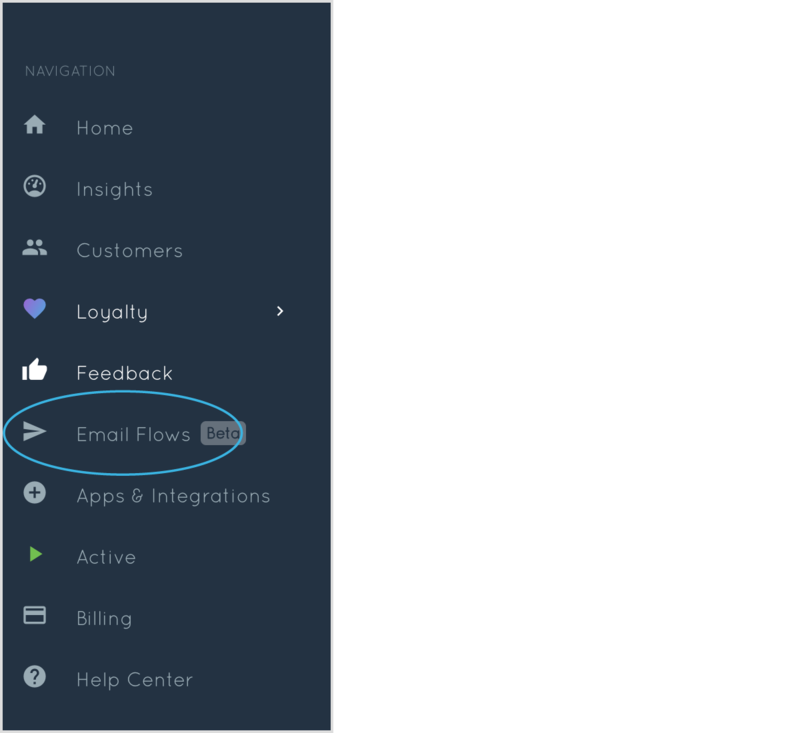 The Coupon block is content that you can drag into your email flow template. 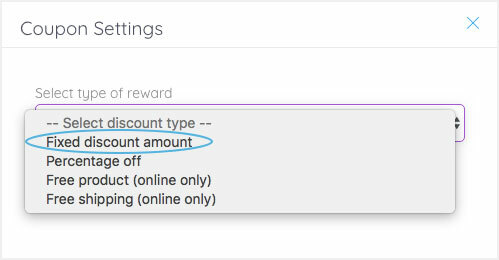 It will allow you to create a reward for your customers and include the associated coupon in their email. 4. In the email content block on the right-hand side, click and drag the Coupon block and drop in the position you want on the email template. 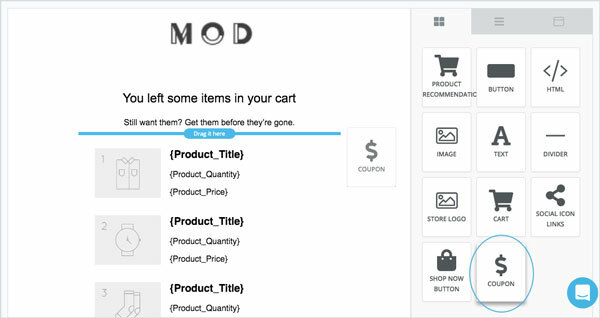 Your coupon code placeholder will now show in your email template. 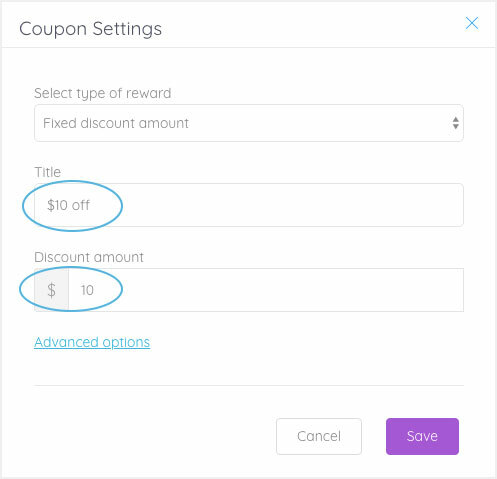 A coupon settings pop-up will automatically open for you to enter the details of your coupon. 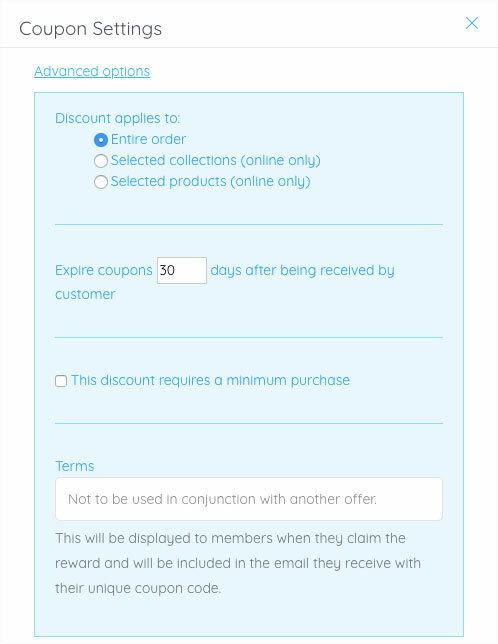 Coupon expiry: how many days the coupon code is valid for once the customer has received it. Requires a minimum purchase (online only): Enter the subtotal amount you want the member to spend to be able to use the coupon. Terms: Add any terms you'd like your customers to abide by when using this coupon. Now, when the customer is sent the email, they'll receive a unique coupon they can use on their next purchase. You can track the success of your coupon under View Reporting. 📝 Note: Coupon codes are unique and can only be used once. Coupon codes will be automatically generated through Marsello. 1. In the Coupon Added to Email banner click remove. This will stop any coupon codes being created. 2. In the email template, click on the Coupon block and then click the trash icon. This will remove the coupon placeholder from the email template.